It seems Huawei will be the third company to go against the rules of phone/tablet size gaps, but instead of going with a 6-inch competition thatSamsungmay be offering, Huawei may be making an 8.5-inch smartphone. This rumor does seem a little odd, but the Chinese company has had the device on show at an event. The tweeter may be mistaken, who says, “While you may think it is an ordinary sized tablet, it is actually a smartphone”. We wondered if 6.3-inches was too much, but 8.5-inches is just plain mad. For someone to hold an 8.5-inch smartphone to his or her ear would be incredibly odd. Bluetooth headsets may come with the device and perhaps the speakerphone automatically activates when calling, but these are not solutions to the size problem. Most no one apart from taxi drivers use bluetooth headsets, because they can be uncomfortable and annoying. We are still unsure whether the photo has been enlarged, as the photographer does seem to be holding it at an odd angle. 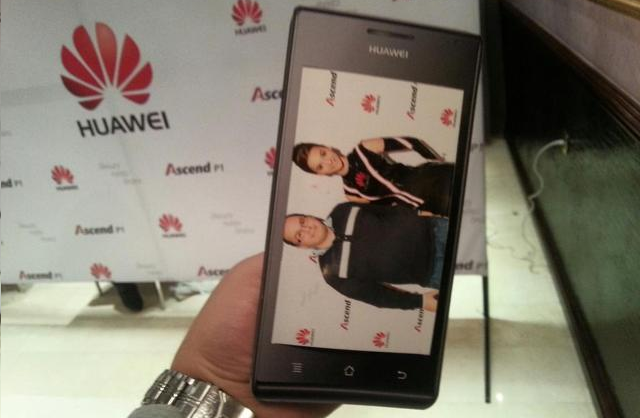 Whatever the case, Huawei should rethink before sending a phone of that size out to market. The device does not look like a tablet – it does not have the buttons or design of a tablet. A shame really, because Huawei would be a nice partner for Android on the tablet line. To us it seems like just a plain enlargement, but with the current rumors about huge smartphones, it may be true. Whether the phone is real or not, we hope that people do not start buying phones over five inches in size. While calling and texting may be age old now, being replaced by FaceTime and Instant Messaging, we still need these at times and holding an eight-inch smartphone to our ear is not what we want.